Think of methods as “the drills.” This post is for you hitting instructors or coaches who’re applying human movement principles, and successfully selecting your own methods. I want to pick your brain, and hear your thoughts below. Any kind of underground (i.e. DIY) hitting aids that help with boosting barrel time on the pitch plane. Chris Davis Video: "Power Move"
One principle is that the bat only really accelerates efficiently when it is on a single plane. The only way to get maximum acceleration of the barrel is to have the swing path at 90 degrees to the spine angle. The only way to do this is to have the lead arm high and also 90 degrees to the spine. If the hands are too high or too low when both these other conditions are met, then the swing will be off plane. bat and lead arm moves down vertically at first torque of handle / barrel drops under plane in back of swing and over plane in front of swing, can’t hit waist high pitches consistently. Under pitches that should be hit hard. bat and lead arm moves too horizontally at first torque of handle / downward path to barrel in hitting zone, can’t hit low pitches square. Kyle … I’m confused by some of your terminology. What do you mean by putting ‘running start’ in quotations? Are you saying that he doesn’t use forward momentum in his stride? I’m also not sure what you mean by “starts on one plane and stays on that same plane”. What is your definition of the start, and by what means are you using to determine where he actually starts? And starts what? … Starts the bat moving? … Starts his hands, his rotation, or his stride? Can you clarify please? I looked at what I could find on Stanton, and I don’t see what you are saying – or maybe I’m just not sure what you mean exactly. To fix a racing back elbow I try to instill the concept that the elbows work together as if there is a bar connecting them until releasing the hands. The kids who have the racing back elbow are kids who are typically one hand dominant, so I will bring in some things to work their weak hand. Dribbling a basketball with their weak hand, medicine ball catches and throws with both hands equally, working hitting drills opposite hand (so batting lefty for a righty), etc. If a kid can get the feel of something they can usually do it. So I try to get the feel in their back arm of a supinated wrist and a flexed bicep. If they supinate the wrist (possibly to exaggeration) and flex the bicep at the same time, it is difficult to lead with the back elbow. I tell them to twist the wrist as if they were riding a motorcycle, then tighten the bicep. Now on swings we will do this, concentrate on that imaginary bar between the elbows and see what happens. Video helps show the good swings vs the bad so they can see what they are feeling. Also, the weaker the kid, the harder to fix. For these kids it may be best to continue to build a solid base and swing and not focus to death on drag until they are a little older and stronger. Kyle…do you have a drill to set or check spine angle to the swing path / pitch location? This relationship or coaching cue is a progression I could see implementing this winter. I like to limit the number of pieces in the puzzle but it is a good “WHY” to highlight! Bob…I interpret Kyle’s “running start” to not cheating either shoulders, hips or hands a part from each other or off of the spine angle. I immediately thought of Ichiro or Aoki as extreme examples. To get on the swing plane quicker, start with the hands at the back armpit. Bat should be vertical. In the take way prior to foot plant, the front shoulder, elbow, and hands go back as a unit. Don’t bring the hands too far past the rear armpit. You can preload your upper body in your stance by turning your shoulders 20 to 30 degrees rearward. Getting preloaded in your stance will prevent arm barring in a stride and load move. You want to maintain the angle of the lead arm throughout the swing. Not doing so can lead to serious bat drag and a weaker handsy swing. As you are striding you are also reading the height of the pitch and starting to tilt your upper body in relation to the pitch. At contact you want your barrel on a 90 degree angle with the ball, on the same plane as the ball. The ball is dropping from 6 to 14 degrees so you want the plane of your swing to be going uphill from 6 to 14 degrees. The palm of your top hand and the inside of your forearm stay in alignment throughout the swing. I do not think that the right angle formed by your top hand forearm and the bat is focused on enough and has been a key to my hitter’s success. As you swing, your top hand palm and forearm will go from pointing in front of home plate to pointing at the sky at contact. The palm of your bottom hand will be to pointing to the ground at contact. The plane of your shoulders dictates the path of the barrel. The lower the pitch, the more tilt you need in your shoulders. Your shoulders are not going to tilt by themselves so you have to tilt from your waist to get your shoulders on plane with the pitch. If you remain in too upright of a position, you will not be able to stay connected and hit anything but the highest of pitches. Both elbows start to turn in unison with the rest of your upper body. Keeping your hands in front of your rear elbow will prevent bat drag. By the time a hitter process all of that the pitcher will have thrown three strikes by him. In matter of fact, the inning would be over. Keep it simple. Easy connect bat to back upper arm right below the shoulder . Turn upper half as one piece until knob is pointing at the pitchers head then release. feeling the connection to the arm. stops casting, bat drag and helps keep hands inside the ball. Keep the comments coming guys! I like that some of you are explaining more thoroughly, and others are keeping it simple. The way I explain it may not get through to some, whereas something you say, just might. It’s all great stuff. Also, something I found connected with a couple of my racing back arm hitters was that they didn’t straighten their front knee during the Final Turn. This got me looking at “pushing into the ground” with the front side, and at the same time “turning the barrel down” into the ground seemed to help too. To prevent barring of the front arm, grip the bat tighter with the bottom. Pull the know with the bottom hand around the rotating torso. This smartphone of mine has a memory of certain words and aotomatically puts them in. Should have proof read it – that is grip it tighter with the bottom hand and pull knob of the bat. I’ll keep this as simple as possible. Your legs can take you to the ball height and location, or the angle of your spine can start your barrel on path, but either way, your legs get you to the ball efficiency first. Your legs always work down in the stride, since the ball is always coming down. Before any barrel can get on path, the legs have to do their job. Practice a more efficient stride to the ball by a simple drills of soft toss where the hitter just steps to the ball and catches it. Once a hitter knows how to get to a pitch, they can then use the multiple core muscles to pull the bat (we pull objects that are behind us) through its rotation phase. Since the batter is already in position to the ball, the bat is already in a good path. Without going into all l the detail of the top arm movements, a hitter can simply pull with both arms along with the core muscles to sustain the path it’s already on. The “running start” is a term that is used regarding moving or torquing the bat handle to bring it from a more vertical plane to the correct plane. It appears to be a quick tipping of the barrel forward and away from the body at initiation. Like what Mike Piazza used to do. It is a move used to get the bat moving earlier onto the plane of the pitch. I think we as students of the swing should all agree, that the bat will accelerate the fastest when it is swung 90 degrees to the spine. The physics are irrefutable and there is a correct plane to a given pitch height/location. Of course, a batter is always adjusting, so the plane is not perfect. 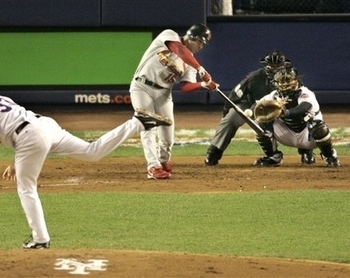 Here is a picture that shows what a correct swing plane looks like at impact. With lead arm and bat traveling 90 degrees to spine. Notice how the bat is traveling 90 degrees to the spine. You can tell from the blur of the bat. This swing is on plane at impact. I’m saying that we should try to keep the barrel on plane from the start of the swing till impact. An on plane swings from initiation looks like the lead elbow is high, the bat is 90 degrees to the spine. On plane pretty good here at initiation… lead elbow high, bat on same plane. Corey… to check spine angle vs swing plane you use a high speed video camera with 200 – 400 frames per second shutter speed. Set the camera up behind the pitching machine screen. I feel, and Joey would probably confirm this, that most if not every great hitter starts their swing with their lead elbow 90 degrees to their spine during initiation. This high lead elbows sets the plane of the swing 90 degrees to the spine. To adjust to low pitches, the hitter tilts at the waist and leans over home plate with their chest. A player that sets up with a lot of tilt, aka Granderson, Mattingly , etc will not be able to hit higher pitches as well as a player with a more vertical spine. Conversely, a player with a vertical spine angle will hit higher pitches better but will have to tilt more to get lower pitches. I love the comments everyone! Keep them coming. I agree 100% with Kyle. The front elbow sets the (for the top half) pitch plane by beginning at 90-degrees from the spine, using a slight bend at the waist, and the hitter adjusts with the shoulder angle to pitch height. Of course, it’s also the knee bend that gets the torso on and stays on pitch plane. Any hitting aids out there that you find that work with a majority of hitters? My favorite method/drill for staying on plane is hitting a deflated basketball (or the Franklin Homerun Ball) off of a tee, on a line drive, a determined distance (maybe over a fence). 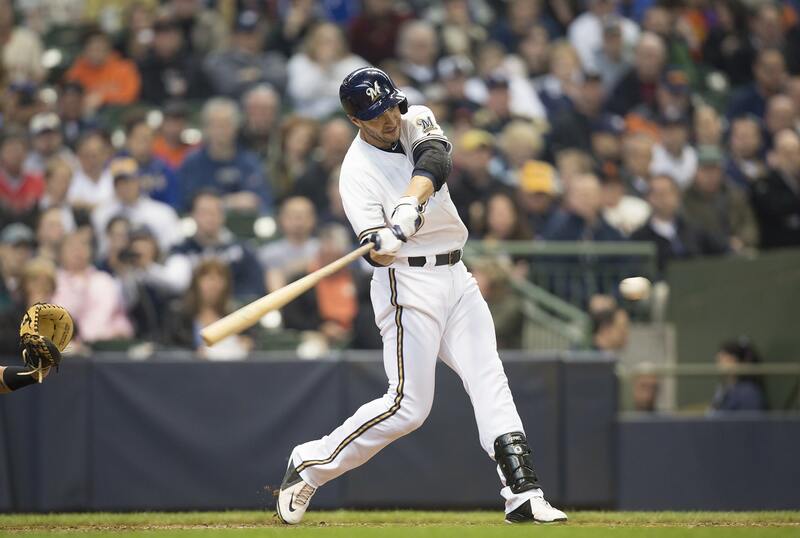 On the hitting aid… I think that hitting off a high tee is important. It trains the lead arm to stay high (at 90 degrees to the spine). 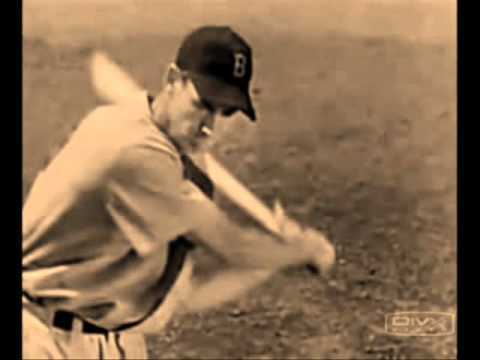 It also shows a hitter that dumps the barrel how to keep the barrel at the height of the plane of the lead arm. You can learn how to adjust o a lower pitch by tilting over the plate on lower pitches, but if you set up with too much tilt in your stance, you will add MPH to pitchers fastball inadvertently. 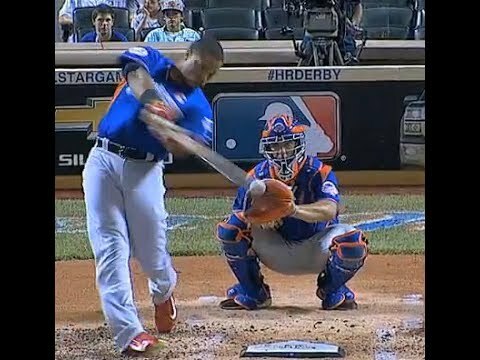 Hitters like Granderson who tilt a lot in their stance can’t hit the belt high over the plate or inside fastball. Because you have to swing level on this pitch, but when u set up with a lot of tilt, you can never get the barrel there… not necessarily because of being late, but being under it. Kyle, I like that. I’ve never been partial to getting the barrel moving prior to the Final Turn. I feel it makes my hitters more inconsistent with their Fight Position (landing). A couple of them that experiment with it end up getting stuck with the barrel dumped forward towards the opposing batter’s box, or behind them. Both of these inevitably lead to arm barring too soon. That’s my experience with it anyway. Maybe for more advanced hitters I guess, but I won’t teach it. I didn’t think about how much hinging at the hips a hitter has as limiting the pitch plane up or down. Makes perfect sense though. I ask my hitters what position a DB is in before covering a wide receiver, off the line. Then I ask about a defender in basketball having to cover a player on the offense. Or a soccer defender being approached by a striker. They all end up in the same hip hinged position, with some deviation to how wide the stance. I have video on the way soon. To your point, the connection needed to not dump the barrel is most important. Connection is a must. The fact that you asked others for their input on the barrel plane really says something about your whole thinking about teaching the swing. The fact that you are flexible and learning constantly will prove you to be the best there is in the business. Most of the other know it all already and are done learning. The PGA has the TPI Certification for golf. These are basically the best of the best. MLB should do the same thing and you should do the hitting and Tom House the pitching. Keep it up!! Re: the barrel tip… I’ve evolved into liking it a bit. I think if timed right it adds to the kinetic energy of the swing by adding an element of looseness and whip to the swing. To use some of Joey’s terminology I think it can make unweighting the bat a little easier. To do the tip well, the hitter needs to have the timing right- after all timing and rhythm are a significant part of successful hitting. There is danger in taking it too far and putting yourself behind the 8 ball so to speak. That’s why I wasn’t a real fan of it in the past, but now I like the move if the hitter can pull it off. Plus you can tell them to swing like Babe Ruth or Barry Bonds (both big time barrel tippers) which is kind of fun for them. I totally agree Matt. I think it can be utilized, like you said, for hitters getting stuck with a flat bat at landing as a way to exaggerate the right barrel angle. And yes, timing is EVERYTHING! I think the “barrel tip” has to be subtle with the hands…a way to get the barrel “floating” in the up position slightly before landing. I think of Cano doing this. Except he goes from barrel flat to tipping up. Kyle thank you for clarifying and the insight. Great feedback, the majority of our players are improving ability versus dialing in technique. Definitely adding the feedback to the coaches “tool box.” Certainly will be discussing the swing cues with the in-house opposition (pitching staff) as well! Steve Wood below has a great tip/drill for the racing back elbow. I would suggest using sparingly and in conjunction with live, regular swings. Locking the barrel to the back shoulder can lead to too much bend in the front elbow which squeezes the connection, reducing whip. Especially in younger hitters with narrow shoulders. But as a drill to get the player to feel how to stay connected instead of leading with the back elbow, it is very good. Hey jmorris – ? looking for that link for the racing elbow drill. Joe, I think jmorris was talking about having the hitter keep the middle of the bat on the back shoulder until the last possible second. I think that was the drill. But to use it sparingly. It could lead to other bad habits if depended upon. Thanks Joey – Got it. Just thought maybe there was something additional to Epstein’s most basic drill that we haven’t seen or used before. I didn’t know that was Epstein’s drill. Once the hitter is turning the barrel into the zone with their torso, I’d ditch the drill and get the barrel to being more vertical and tilted slightly towards the pitcher. Regarding the V fomed with the back arm…. it is interesting because the hinge angle (wrists/bat angle) only opens 90-115° till the bat angle matches left forearm. It’s really not a huge movement. If the knob stays the same distance from the spine this V opening up happens sooner with the same effort. If the knob moves out of its geometry in relation to spine during shoulder rotation (arm barring), the V opens later. The problem lies in a hitter that rotates open the shoulders too fast and they can’t keep the knob same distance from the spine due to the bats inertia. Players with good swings intuitively keep the knob locked in a spot. They will not rotate open sooner but when they feel they need the bat to catch up they go into an even tighter knob position and decelerate sooner. Bad swingers don’t feel they are losing bat speed by flying open. I only had time to briefly review the comments so if this is redundant I appologize. For simplicity and brevity I’ll admit a key assumption: Optimal swing mechanics produce a swing that is ‘on-plane’ from approximately the back knee to the point in front of the plate when a natural swing pulls the barrel out of the hitting zone. Hitting it any deeper seems silly, any farther out front is less than optimal (but still worth doing any time you’re early!). Using the tee to force deep contact points (deeper outside than in) can produce well-connected swings that get into the zone early. Staying on plane through the swing will rely on the swing matching the pitch plane, so transition from tee to front toss to BP and on in order to learn to use these contact points. Using the tee to practice ‘breaking connection’ when the hitter is caught out front isn’t an awful idea, but a moving ball is generally better practice for timing adjustments. I agree with you there Brad. 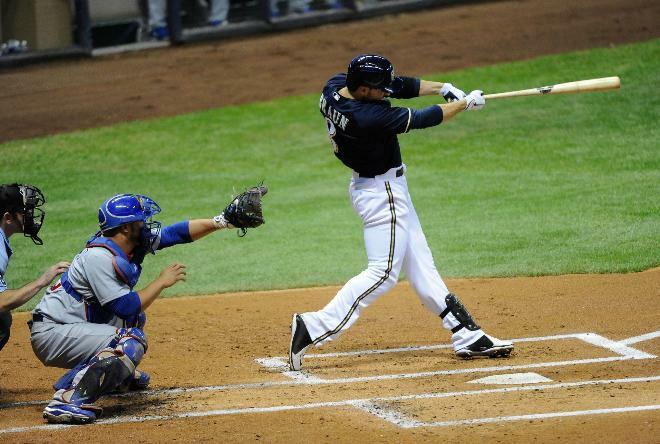 The longer the barrel is on pitch-plane, the more room for error the hitter can make. This is ideal for boosting consistent hard contact. It’s a formula ANY hitter can apply. 🙂 Great comments! Love the Pitch Plane Dom and the Catapult Loading System courses. Quick easy DIY training aid and drill. I think it’s important to not only talk about the pitch plane but give my hitters a visual. I take a thin yellow rope, 25 ft or so. Attach one end to a chair in the strike zone and the other to the upper middle of a Lscreen. Create an angle similar to the downward path of the ball pitcher to catcher. Position a tee just barely above the rope in the contact area. Have the hitter hit the ball off the tee and follow the rope through. Done correctly and the ball will hit the top of the Lscreen a foot or 2 over the release point. Great idea Drew!!! I’ll steal that one if you don’t mind 🙂 Also, thanks for the kudos on the courses.